A debating final was held at Lowther Hall on Wednesday 15th of August at 8.00p.m between Strathmore Secondary College 1 and a Grade D team from St. Columbas. The topic was: That Australians should opt out of the My Health Record, with Strathmore Secondary College placed on the affirmative side of the debate. Unfortunately, Strathmore Secondary College was defeated by the narrowest of margins – one point! According to the adjudicator, the defining factor in St Columbas’ win was a greater desire to open up the debate and engage more with the audience. 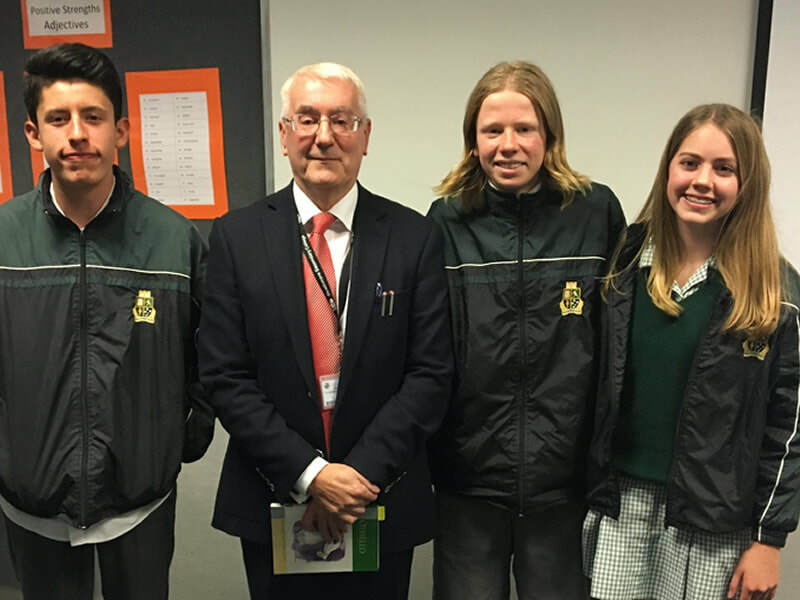 Nevertheless, Strathmore Secondary College 1 students prepared a series of excellent debating speeches and showed a complex understanding of what was a very difficult topic. The school would like to thank Aleksandra Lyche, Ben Gray and Gabriel Rodriguez for kindly giving up their time and working so hard to enable the debate to proceed to such a high level. The school would also like to thank Ethan Tasevski and Nick Panotopoulos who participated in the early rounds of the DAV competition at Grade D level. Their commitment enabled the team to achieve the result of five wins in a row, enabling the school to field a team in the finals. Our Grade A team was unsuccessful, losing narrowly by one point. The Grade B team was forced to forfeit due to the illness of one of its members. Our Grade C team (Year 10), on the other hand, won by two points, with Eleni Lykopandis awarded Best Speaker by the adjudicators. The school had two teams at Grade D level and one of the teams – Strathmore 1 – was successful, winning by two points, thus making their way into the finals. Aleksandra Lyche was awarded Best Speaker. The other Grade D team – Strathmore 2 – unfortunately lost by 1 point and thus narrowly missed participating in the finals. This debate will be held during this week at Lowther Hall, Essendon on Wednesday the 15th of August at 8 pm. The topic is: That we should opt out of the Health Card, with Strathmore 1 on the affirmative side. The opponents for Strathmore 1 will be a team from St. Columbas. Our team will consist of the following students : Aleksandra Lyche, Ben Grey, and Gabriel Hernandez. We wish our team of Grade D debaters the very best of luck.